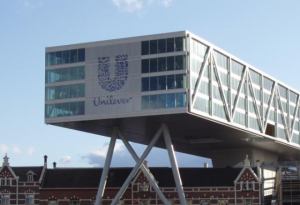 On Thursday, Unilever announced that it was making Rotterdam, the Netherlands, its only headquarters, which deals a big blow to Britain during its withdrawal negotiations with the European Union. For close to 90 years, the consumer products behemoth, whose brands include Lipton tea, Dove soap, Ben and Jerry’s ice cream, and Surf detergent, has maintained two headquarters in Rotterdam and London. Investors have been pushing the company for several years to eliminate its dual headquarters structure saying that by doing so the company would become more agile and able to better pursue mergers. Last year, Unilever finally announced that it would look into is legal structure. The review was complicated by the planned withdrawal by Britain from the EU and fears the company’s decision may be politicized. The company’s statement on Thursday said that the simplification would give greater flexibility for strategic change in the portfolio and help to drive long-term performance. It added that the company would continue being listed in Amsterdam, New York and London, but its division would become divided between Rotterdam and London. The two headquarters of Unilever mirrored that of its legal structure, where the company kept separate stock listings and corporate entities for both countries following its formation after the uniting of Lever Brothers a soap maker from Britain and Margarine Unie a producer of margarine from the Netherlands in 1930. Each of those two operating companies has its board, but those boards have the same directors as well as senior management. While the structure is unusual, it has been used by several large companies that have ties both to the Netherland and Britain. Royal Dutch Shell the oil giant held a similar setup through 2005. As consumer began to shift from the traditional brands to smaller companies that have more organic and natural ingredients, Unilever has attempted to keep up by buying businesses such as Dollar Shave Club, Sundial Brands and Schmidt’s Naturals over the last few years. Nevertheless, the simplifying of its structure has been an investor’s topic at many meetings for over the last decade. The topic came to a head following the unsolicited bid by Kraft Heinz to takeover Unilever. That bid was withdrawn by Kraft Heinz just days later but in friendly terms. However, Unilever quickly announced afterwards it would be reviewing its corporate structure. Late in 2017, the company announced that its board had considered the unification of the two structures would be the best for shareholders.